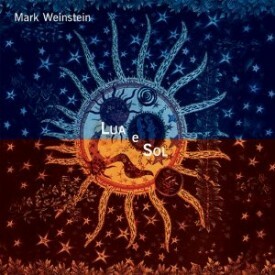 The more I truly listen to flutist Mark Weinstein’s Lua e Sol, the more I like it. The band (Weinstein, flute, alto flute, bass flute; Romero Lubambo, classical guitar; Nilson Matta, acoustic bass; and Cyro Baptista, Brazilian percussion) is well rehearsed, the music nicely arranged and the sidemen terrific in every way. Weinstein’s creative soloing expresses many moods. The all-Brazilian music represents lots of different styles, including samba, bossa, ballad, and even a couple of classical tunes. The moods vary widely on this recording, from upbeat to mysterious and dark. Along with Weinstein’s two inspiring compositions, the other pieces were written by prominent Brazilian composers. The opening tune, “Canto de Ossanha,” is absolutely delightful. The groove is quite infectious, the tune catchy. Within the song, the key gently sways back and forth between sections of minor and major. The opening flute solo is energetic contrasting well with the guitar solo that follows. “Estrelinha” and the title tune are Weinstein’s compositions. The rhythm section of “Estrelinha,” a beautiful ballad in waltz time, creates much interest, and the solos on the tune (flute, guitar, and bass) are wonderful. “Lua e Sol” is a real expedition. It starts with a bowed bass and the rest of the rhythm section enters freely before a slow groove is set up for the haunting flute melody. The tune begins to get a lighter feeling, and then Weinstein starts improvising. The flute solo tells a long story and becomes very wild. It is virtuosic in nature and the rhythm section complements it extremely well. The two classically styled tunes, “Choro de Gafierei” and “Segura Ele,” are technical, short and to the point. They are both sweet compositions and fun to hear. On this album Weinstein’s deep, rich tone on the alto and bass flutes really comes thought. On the tunes “Floresta” and “Emorio,” he makes use of interesting layered chords and octaves. The most outstanding features of the CD includes the music itself, which is varied and dynamic; the excellence with which it’s played by all the band members; and Weinstein’s writing, soulful and well thought out. I highly recommend Lua e Sol as a splendid addition to any music lovers’ library. I’ve never cared much for flute, but can’t complain here: Weinstein ranges from decorative to delectable, and Lubambo is especially superb. The amazing thing about Lua e Sol the new record by Mark Weinstein, is that might easily have passed like a ship in the night. 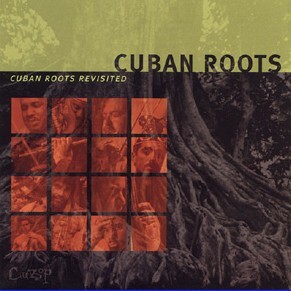 It if did, it would appear to be a case of history repeating itself, for his historic recording, Cuban Roots (Catalogue Music, 1967) was similarly treated – almost as if it did not matter, when in fact it was one of the earliest and most important records of that and any time in Latin Jazz musical history. This should never happen to this record, Lua e Sol for several reasons. It is time that Weinstein takes his rightful place in musical history – somewhere near the top – as an instrumentalist, composer and innovator when it comes to letting the various idioms of music flow in the flue of his various woodwinds. That Weinstein has both a masterful understanding of the flute, and control of its tonal palette is like a mathematical constant. That he is able to control his breath to such a superhuman extent and create such an exquisite sonic language on such a difficult instrument is all too magical. Then there is the concept or theme of this record – Lua e Sol – moon and sun, dark and light. And then there is the music itself, which when listened to reveals not only just how modern and contemporary it is, but also the allegorical side of the record. It is a musical, but also a human journey that examines the nooks and corners of darkness and light. It is inspirational to discover source of the sound and its purity… To hear how the music ascends to a superior plane… And that has only happened because Weinstein has subordinated himself to the source of creativity and its instrument – the breath of the musician and the fingers that manipulate the instrument that whirls and twirls notes, phrases and sounds. This record uses a Brazilian medium and delves into that music milieu as well, to reveal its tonal colors in shades of black and white, dark and light, and the cool and heat of the interstellar symbols that have come to be the iconic sources of that light and dark. Baden Powell and Vinicius de Moraes’ “Canto de Ossanha,” and the Joao Donato/Gilberto Gil piece, “Emorio” – especially the latter – with its use of bass and alto flutes, beautifully describe the idiomatic approach to the record. The Pixinguinha songs too, though short, are remarkable as well. Weinstein’s own compositional contributions to the record, “Estrelinha,” and the title track, “Lua e Sol” appear to be headed to the realm of the classic as musical programs as well as vehicles for the flute. And of course there is the interplay between the masterful musicians who make up the quartet. Romero Lubambo has always been on the cutting edge of the guitar. His is a sensitive and emotional approach to the instrument and he is the consummate accompanist and soloist whenever he is called to play that role. Nilson Mata is, together with Zeca Assumpcao and only a handful of others, the premier bassist to come out of the Southern part of the American continent. His work with the great Don Pullen on the Afro Brazilian Connection records is now legendary. Mata is exquisite in the bowed entry to the title track. And Cyro Baptista joins Nana Vasconcelos and Paulinho da Costa in a sublimely skilled percussion triumvirate. Baptista is not conjurer of such immense skill that comparisons to someone like Liszt on the piano would not be such a stretch. Remarkably, this record is not just a profound musical statement, but also one of the most entertaining expressions in sound as well. It is also a master class in the playing of the flute. It is one for a time capsule of this day and age. It’s fitting that flautist Herbie Mann is one of the luminaries who have led bands that included Mark Weinstein. Among his many attributes, Mann had a special way of bringing Brazilian music into his repertoire, and Weinstein does the same here with Lua e Sol. Weinstein began his career as a trombonist, and was associated with a long distinguished list of musicians, among them Eddie Palmieri, Chick Corea, Cal Tjader, Tito Puente and Mann. Over the years however, he switched to flute and now plays in a variety of styles. The small ensemble backing him on Lua e Sol is comprised of Romero Lubambo on guitar, bassist Nilson Matta and percussionist Cyra Baptista. “Floresta,” penned by Matta, begins slowly with both Lubambo and Weinstein playing softly with subtle assistance from bass and percussion. Then, after the tranquil introduction, Matta begins an upbeat rhythm soon joined by Baptista who contributes, in addition to congas, sounds that bring to mind a South American rain forest. The track is an audible sightseeing tour about the Brazilian countryside – a tour that ends the same way it began: quietly. The title song, written by Weinstein, features some shrill peaks by the flutist alongside emphatic plucking from Matta. This free-wheeling piece conjures images of encounters with native tribes, exotic animals and even the rainy season – if “Floresta” was a tour, “Lua e Sol” is an adventure through the same rain forest. During Lumbabo’s solo, Matta seemingly goes in his own direction while Baptista delivers the appropriate effects. Then the three of them feverishly pick up the action, complete with some wordless vocal calls, before things settle down and Weinstein returns with the melody. “Emorio,” by two of Brazil’s more widely known songwriters, Joao Donato and Gilberto Gil, is a charming piece. Weinstein employs the bass flute, followed by a snap-string solo by Matta. Lubambo also solos. Only three of the ten songs on Lua e Sol are originals. The rest are Weinstein’s interpretations of songs by several Brazilian composers. The result is as the name implies: a musical exploration of light and dark. Now here is a fine example of sensitive instrumental interplay. After the ominously low rumble of bass serves as an introduction, the structure of “Lua e Sol” is set with a series of guitar chords and arpeggios that are used as starting point for Mark Weinstein’s flute excursions. The contrast between the rolling nature of the guitar figures and the angular approach taken by Weinstein (recalling Anthony Braxton in spots) adds depth to the composition. As things progress, both the guitar and flute expand their sonic reach, with the great percussionist Cyro Baptista adding many exclamation points along the way. Former Herbie Mann sideman Mark Weinstein first became interested in Brazilian music about a decade ago. On Lua e Sol he pays tribute to the “dark” and “light” sides of the Brazilian music tradition. “Canto de Ossanha,” the popularly covered tune written by Baden Powell and Vinicus De Moraes, most definitely comes from the light side. Cyro Baptista’s Brazilian percussion and Nilson Mata’s bassline open the piece to make room for a beautiful-sounding acoustic guitar played by Romero Lubambo. Flutist Weinstein then enters to handle the lion’s share of the lilting melody. This is followed by a long solo section on which Weinstein nimbly climbs up and down the scales quite nicely, thank you. Lubambo follows with a wonderful acoustic turn. For its climax, the song returns to its brighter-side-of-life roots. I have alluded to something in other reviews of jazz flute music, and I’ll say it again here. You have to be an exceptional flute player to hold most jazz fans’ attention. Mark Weinstein can do that. To my ears, he is among only a handful who can. North America’s love affair with the music of Brazil began 51 years ago, specifically with the Charlie Byrd-Stan Getz hit recording of “Desafinado,” the lilting jazz samba by Antonio Carlos Jobim. Ever since, Brazilian tunes and rhythms have been a regular part of jazz. Thus, we have flutist Mark Weinstein’s “Lua e Sol” (Jazzheads), a trip into the light and dark soul of the music. “The flute just works perfectly with Brazilian music,” Weinstein says in the liner notes. And when his cohorts are the Brazilians Romero Lubambo (acoustic guitar), Nilson Matta (bass) and Cyro Baptista (percussion), it works even more authentically. You can hear echoes of Byrd in Lubambo’s pulsing single-line approach and chording. Ensemble-wise, Matta’s bass is richer and more aggressive than in the early days of the bossa nova, and Baptista’s percussive interjections more colorful. The performances include Matta’s “Floresta,” with Weinstein on alto flute, and a few Weinstein originals: the lovely “Estrelinha” and the avant-garde title track. The other tunes are by Brazilian composers. Weinstein, an often busy improviser, grows more impressive with each album. Mark Weinstein has long been an important contributor to Latin jazz, even if the flutist is overlooked by many writers. This date focuses on Brazilian music, with his sidemen including two out of three members of Trio da Paz (guitarist Romero Lubambo and bassist Nilson Matta), plus percussionist Cyro Baptista. Utilizing concert, alto, and bass flutes, Weinstein has a subtle way with his instrument, focusing on bringing out the best in it rather then showboating with a heavy diet of overblowing. Starting with a hip, lively arrangement of the late Baden Powell’s “Canto de Ossanha,” the quartet has a lyrical, light touch. Weinstein also penned two originals, including the lush, deliberate “Estrelinha” and the more adventurous “Lua e Sol,” which initially stretches the traditional conception of Brazilian jazz before moving into more familiar territory. Highly recommended. There are many virtuosos to look between, so watch out for the technical bravado gifted to us here. Mark Weinstein has always been distinct for his hot and sweaty Latin tones, fusing them with great sensibility to the tropical atmospheres with the blue notes: we have to acknowledge to him the refinement and the research that has since been given to the flute in Latin jazz. It has been done in such a way that his sound hasn’t just originated only through his intuition or through his love for a “good sound”. It’s as much of an interesting capacity for composition and arrangements like this that has been growing remarkably in originality and of which is evident in the executive techniques used. The tracks that are proposed here in “Lua e sol” contain a narrative logic that stands out and manages to unravel itself through the predilection for a pluri-chromatic that is both personal and expressive in its dimensions. This in turn produces a coherent and agreeably pleasing phrasing that could be described as “colloquial”. In such a way that “Canto de Ossanha” remains an image that isn’t set in time and in the way in which it is presented. And we have to look at both Baden Powell and Vinicius De Moraes who form part of the nucleus in this strong and contagious emotive force; an ideal climate to release all of the elegance contained within this flautist. This force is also contained in evergreens “Upa Negrinho” from Eduardo Lobo and Gianfrancisco Guarnieri or “Choro da Gafieira” by Pixinguinha. In the name of a “progressive traditionalist” the flautist takes special care in the execution and relies on good taste which appears wholly simple in its exhibition, sometimes energetic, at times lively, other times swinging – dilated in conceived jets of solos, without using any calculated tricks: a truly convincing fervour, a tenacious faith in the profound sense of the pre-selected pentagram’s used, substituted by the formidable interplay with a formation that is extremely explicit (the guitar of Romero Lubambo, the acoustic bass of Nilson Mata, the Brazilian percussion of Cyro Baptista). Weinstein doesn’t follow this pattern to all costs, he doesn’t love the garish cabaret of lots of solos; he chooses to articulate the album according to a groove that is cared for – which is enthusiastic, actual in its whispered harmonics, imprinted with an identity out of the normal scheme of all other narcissi tic’s. It is in this respect that it would appear that there is a light that is magically switched on to “explain” to the listener every phrase in the creative process, and of all of its emotions that it contains.